This entry was posted on February 1, 2007 at 11:19 am and is filed under Business GIS, Geomarketing, GIS, Information Systems. You can follow any responses to this entry through the RSS 2.0 feed. You can leave a response, or trackback from your own site. Love your site. 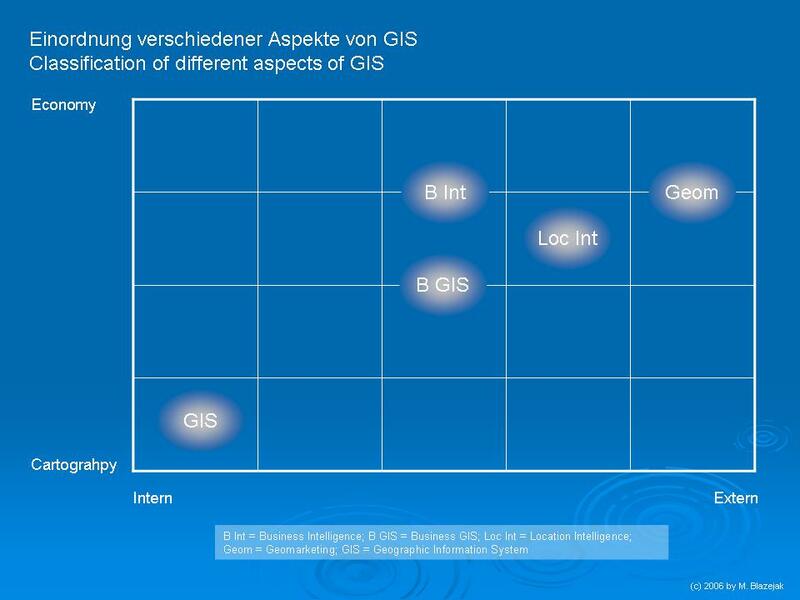 I think the intersection of BI and GIS technologies is going to be big in the near future. Sadly, the big players in BI don’t seem to have realised it. I’m working hard on establishing this kind of connection at work. We will bring together SAP and Samllworld GIS in the near future. My private interest is in OpenSource solutions like PostGIS and e. g. QGIS or Jump. BI and GIS will surely be big in future and even more if you are handling data which no one can bring together outside an powerful system. I’m handling real estate data — you should know 🙂 — so we cannot really live without a GIS.